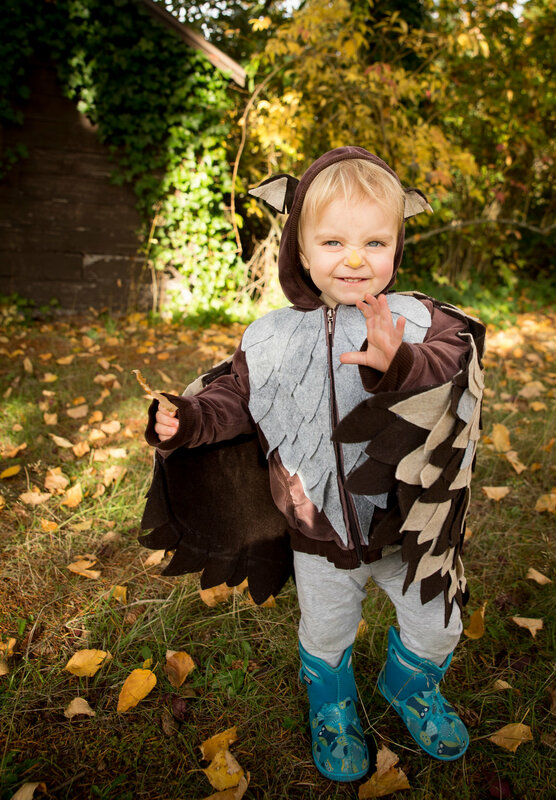 I'm not sure how October passed without a single blog post. All I know is, we were sick for about a third of it, and now it's November. Yikes. Yesterday was Halloween, and Charlotte was completely into it. She talked most of the month about trick-or-treating and "spooky stuff." 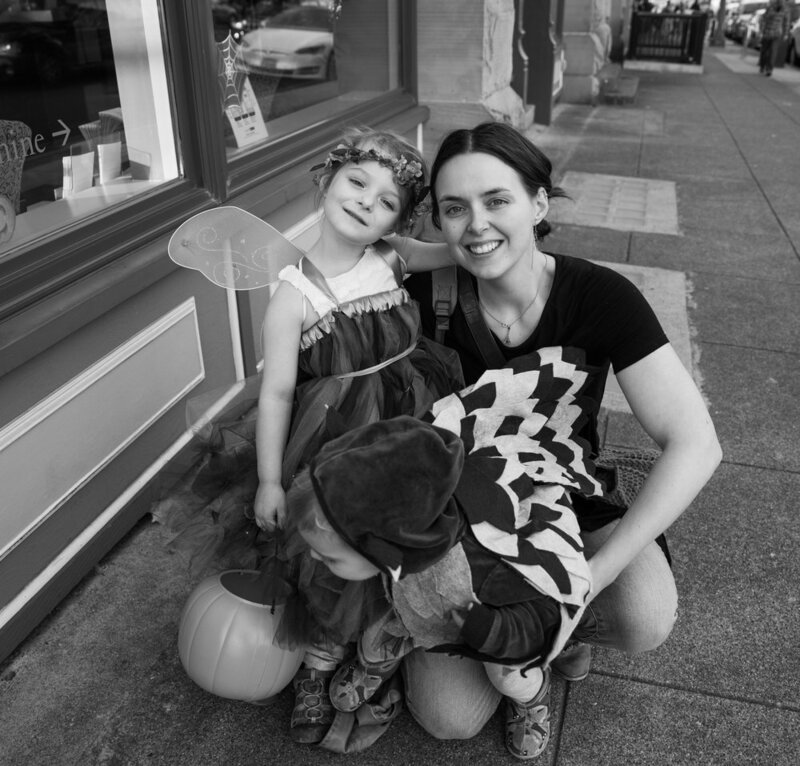 We took her and Eliza to Fairhaven for a local business-sponsored trick or treat. It was kind of magical. Growing up in the 90's, I watched all those seasonal movies, like Casper and Hocus Pocus. These movies were set in fictitious small towns decked out in Halloween paraphernalia, with a backdrop of beautiful fall colors, and a chill in the air. Being from the South, I figured towns with this atmosphere were a Hollywood myth. Halloween in Alabama was warm and not a big deal. The people, in ever-lingering flipflops, didn't think too much of afore mentioned "spooky stuff" for various cultural reasons I won't go in to. It really just wasn't a "thing". Fall festivals and trunk or treat, yes. Halloween "stuff," no. Which is fine, I'm not saying good/bad either way. Fairhaven though. The stuff of movie legends. It was so neat to see this little historic district so colorful, the shop owners completely in costume, laughter, excitement, and fun in the air. It sounds corny I know, but really. It was too cool. I'm an adult and I was excited. I think Charlotte had a pretty great time too.